AE Interest: Surpasses International Energy Code requirements, tessellated steel roof, AIA Honor Award for Architecture 2009, ASLA Honor Award 2009, Cemex Building Awards 2008. AE Interest: Community is designed with CPTED (Crime Prevention Through Environmental Design) principles, arranged in an ideal solar orientation, optimizes wind patterns to cool buildings, composed of 12 residential towers and 981 total apartments, constructed in 3 phases with the first phase having 353 apartment units. 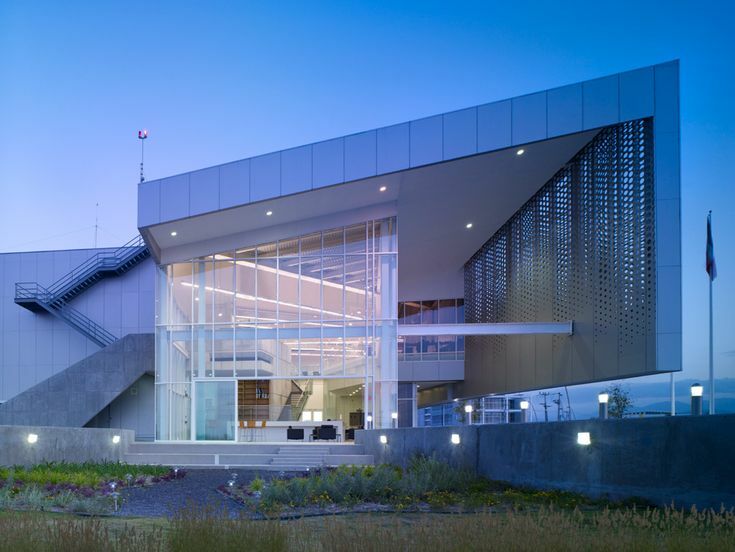 AE Interest: First LEED Platinum building in Mexico, geometric roof draws inspiration from old factories and surrounding mountains, roof allows for natural light, custom aluminum skin.